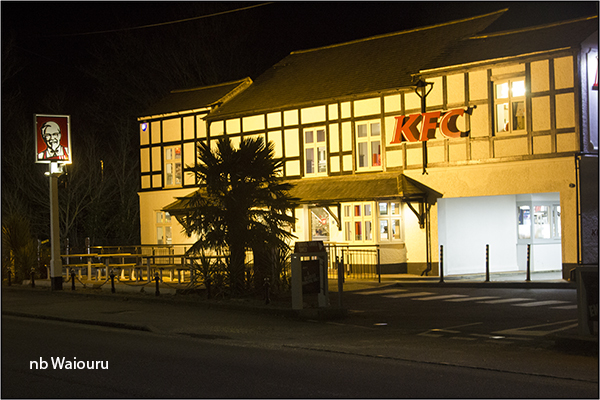 Last night I went for an evening walk with the camera with the aim of experimenting with more night photography. I’ve realised attempting to take photos at night really requires a tripod as the camera shutter stays open much longer than during the day. I found myself leaning against lamp posts. No doubt the locals thought I’d been over imbibing the the amber nectar. The mock Tudor retail outlet selling deep fried rat in 11 secret herbs and spoces amused me! Why construct a mock Tudor building? Perhaps it was the only way they could get planning permission? 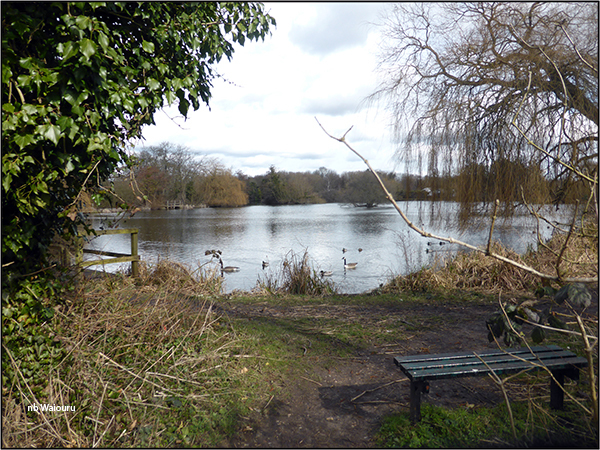 Today I walked the towpath to Cowley Peachey Junction and then into Yiewsley. 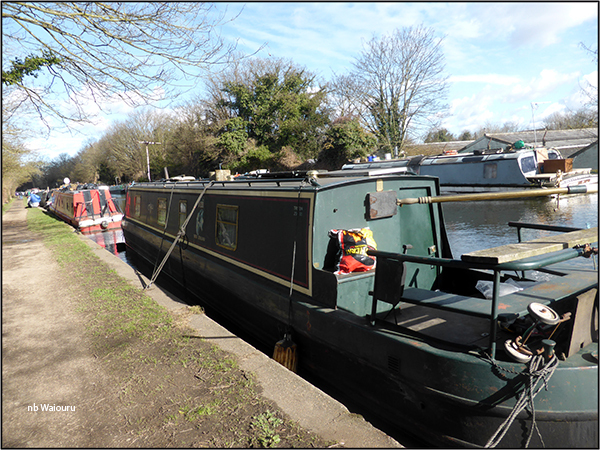 This will be our next mooring location and I wanted to check availability of moorings and the local shops. 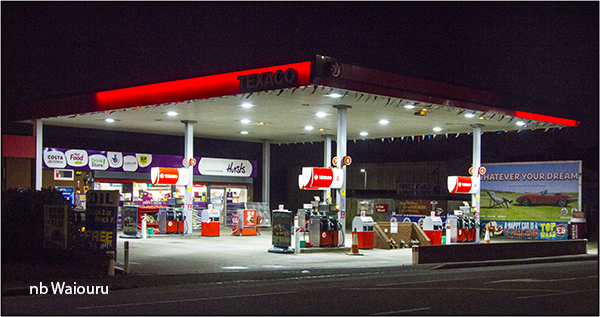 There is a large Tesco, an Aldi & Iceland co-located with a Morrisons slightly further down the road. Whilst walking I noticed a number of interesting boats. The sign in the window of one boat was rather amusing. The following boat looked rather nondescript until I had a second look. 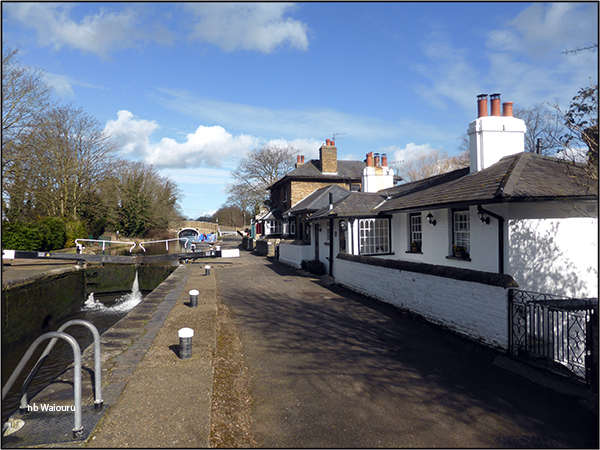 Cowley Lock is rather picturesque. I noted there were vacant 14 & 7 Day mooring above and below it. I can only assume there are other moorings closer to shops and transport connections. 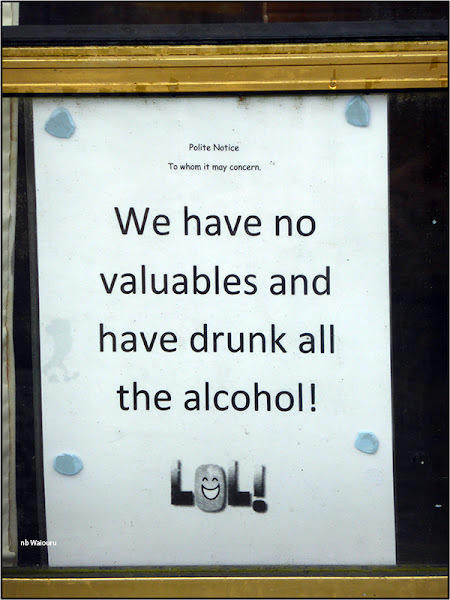 Or perhaps the local CRT Enforcement Officer visits them frequently. Rather than take the same route back to Waiouru I decided to head west and follow a series of public footpaths bordering the River Colne. There are a number of wetlands all along this stretch of the canal. These were created when the gravel extraction pits were worked out in the 1930’s. This is Little Britain Lake. So named because its shape is similar to the outline of Britain. The footpaths don’t appear to receive much traffic but a number of cyclists had cut it up rather badly in places. 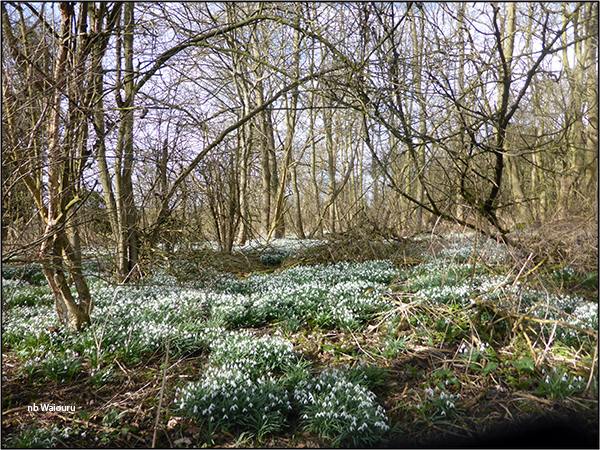 Halfway home I noticed yet more Snowdrops. Tom, Is it my imagination or did the picture of the tui have it looking rather grumpy or forbidding? 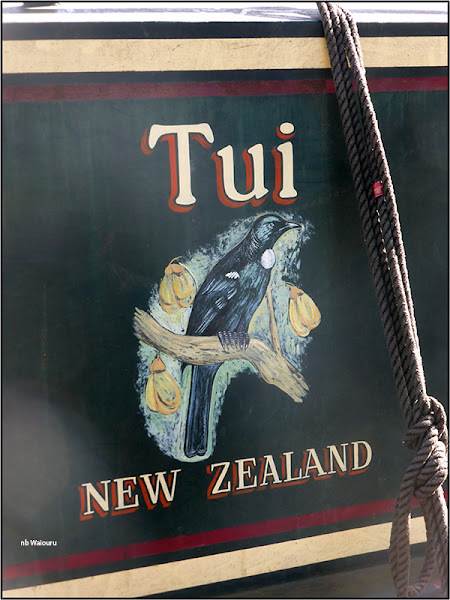 We listen to the tuis in our garden here in Waikanae - they are lovely birds indeed! As well as an extending tripod, have you seen the bendy ones - 3 short flexible legs that are great for balancing your camera on uneven surfaces. Could be just the thing for you with some of the places you have to position the camera. I don't think there's enough room on the boat for two tripods! Marilyn means a Gorillapod, which will fit in a pocket. Imitations are available, I've even seen one in a 'pound shop', but as often happens, the original is best, and is more likely to work in 'all' situations. Scroll down slightly for a link to images.